Pucker up for your holiday parties with the perfect red lippie. My recommendation? 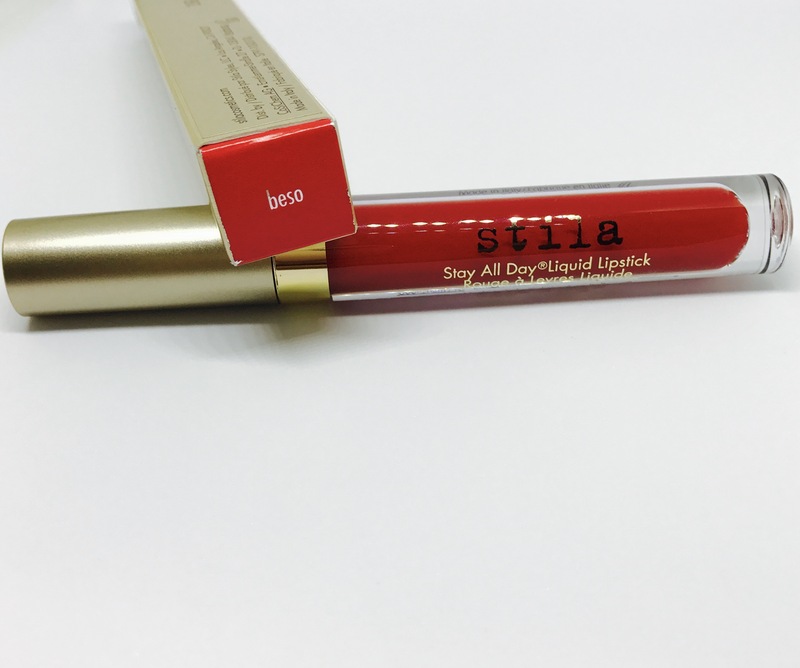 Beso by Stila. It’s the perfect red color that works on any completion, goes on smooth, and will last until your midnight kiss on New Year’s Eve. Pro tip. Once applied, add a faint glitter gloss to top it off with some shimmer and to add some extra staying power. If you know me, I’ve only recently, over the past year, started to get into lipstick. I tend to stick to pinks or muted, deep reds but every lady needs a good red hot lipstick. This is my go-to thanks to my girl, Jen. Facial cleansers. They’re just as important as body wash, because face it (ha! was that a pun? ), a clean, fresh face is the first thing you see! But what is the best facial cleanser you can use? Well, thanks to reviews.com, I have a little bit of inside information on that. 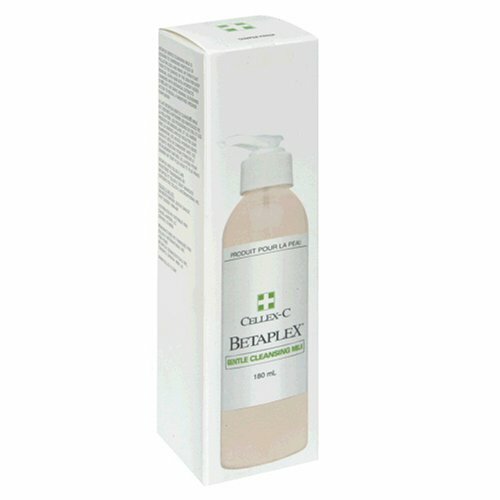 Reviews.com did a little research by talking to dermatologists and aestheticians and concluded that the best facial cleanser is Cellex-C Betaplex Gentle Foaming Cleanser. So how did reviews.com figure that this is the best face wash out there? They talked to several skincare experts and dug deep into a list of ingredients. Cellex-C stood out the most because of its natural ingredients. And they skipped over any cleanser meant to treat specific skin conditions like acne or oily skin. Why? Because your face needs oil. And everyone’s got some oil on their face — in fact, there’s a critical film on your skin called the acid mantle that helps produce oil. Cellex-C Betaplex Gentle Foaming Cleanser is fairly priced and made of ingredients we can all pronounce, like Sunflower Seed Oil;Willow Bark Extract;Sassafrass Extract;Chamomile Extract;Vitamin E. Skyn ICELAND Pure Cloud Cleanser and CeraVe Hydrating Cleaner made it to the top of the list, too coming in second and third place for best face wash. Need a little more info to help you decide which is the best facial cleanser for you? Check out the full story on reviews.com. When I find quality nail polish under $5 a pop, I get very excited. This is why KleanColor has become my new favorite nail polish brand! I was gifted 8 bottles of KleanColor nail polish by a special someone and I still can’t get over how good this polish is. Plus, I’ve been getting compliments every time I wear a color. KleanColor nail polish applies extremely smooth and really is chip resistant. The best thing I noticed though, was the smell. Although I love nail polish, I’m not a huge fan of the strong, distinct odor. Meanwhile, KleanColor is subtle, and nothing like that harsh, chemical-like nail polish smell we’re used to. KleanColor almost smells like new car! Thanks to the hookup on polish, I have been able to try an array of colors including solid colors, glitter polishes and even a matte shade. Each polish gifted left me in awe of how high quality they were, leading me to visit the website for more info on the brand. 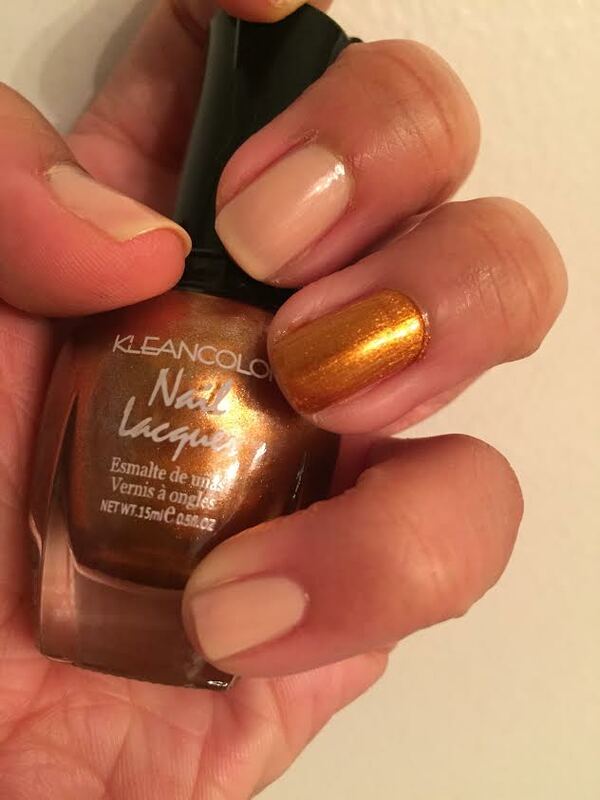 I was excited to find KleanColor is a full beauty brand offering an array of nail products plus makeup options. Now I am dying to try a lip, blush and whatever else I can get my hands on. The only downside is that I have not found KleanColor in-store. Ordering online seems to be the only option unless found at your local nail salon for purchase. KleanColor polishes are $3.49 per bottle, so ordering in bulk can still be fairly inexpensive compared to other brands like Essie and OPI. And I personally think KleanColor applies better and lasts longer than OPI. Plus the color options are more fun and bold! All in all, I highly recommend trying KleanColor if you enjoy a good and decently priced nail polish. Tis the season for fun Christmas nail art! 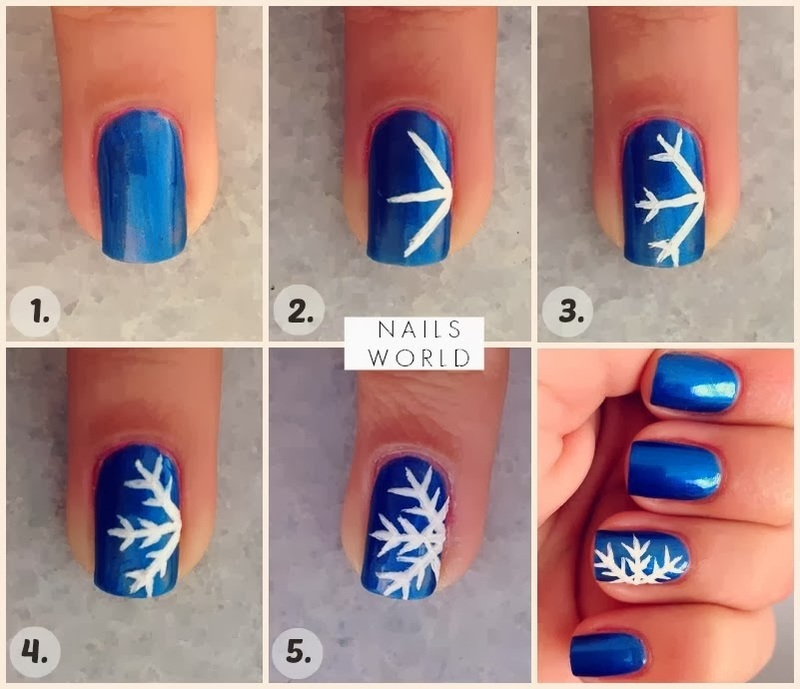 Add a little glitter and these snowflake nails are sure to sparkle. How fun? 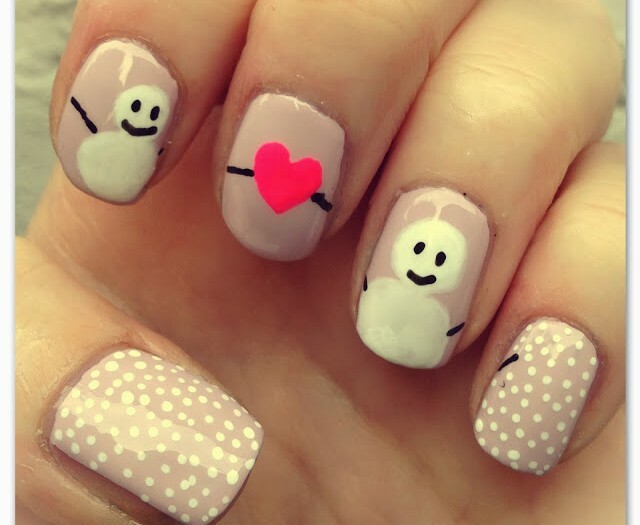 As a fan of hearts, I instantly melted for this adorable snowman mani! So fancy! 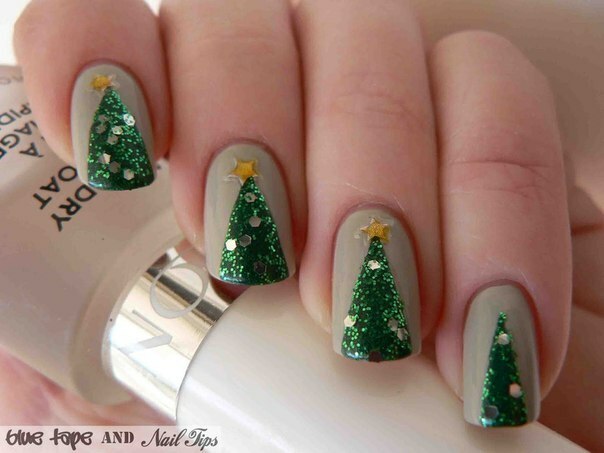 These Christmas Tree nails are super fun and easy to create. A simple holiday staple, this snowman nail art will bring fun and creativity to nails. This past weekend I had the pleasure of visiting one of my very best friends in Chicago. Shoutout the my little one, Raven! Anyhoo, in true Chicago fashion, we hit the Magnificent Mile and went shopping! I didn’t go too crazy (we both decided to stick to a budget) but I did end up with a few exciting items. First of all, what’s a Chicago trip without stopping in Zara? Of course I sifted through the end-of-season sale racks and saw a few cute pieces but narrowed it down to one leopard print long sleeve dress. It’s very comfortable, can be dressed up or dressed down and it was on sale for only $15.99. 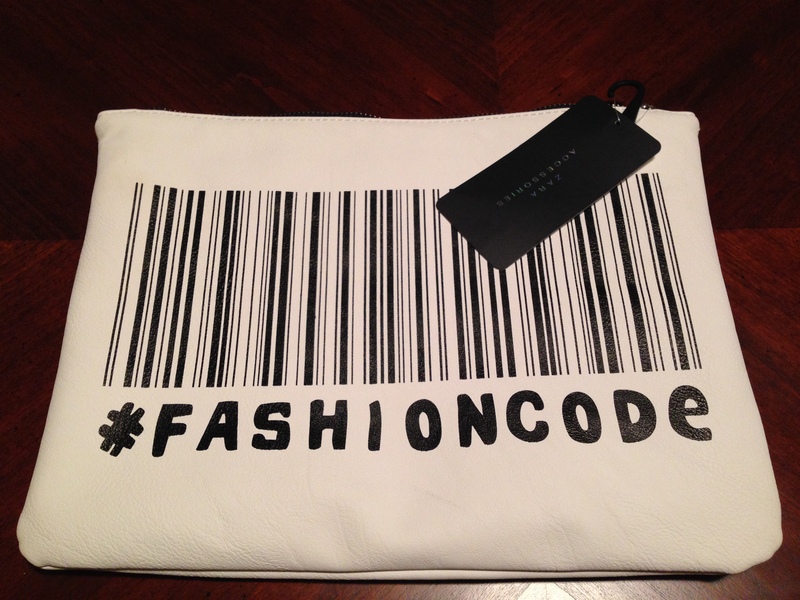 I then found an adorable #FashionCode clutch. Not on sale but it was worth the $30. I had been wanting last season’s “Stressed but Well Dressed” clutch but I actually just might like this one better. We moved on to Nordstrom and hit the makeup counter. If you know me personally, you know I have been on the hunt for a great lipstick. I was convinced I would never look right in any lip color but everyone tells me I just need to find the right one for me. So thanks to some convincing from Raven and the lovely JoAnna at the Nars makeup counter who helped me try on various shades, I finally found a color that looks good on me. It’s quite bright but I wanted something that would pop. I never wear lipstick and rarely wear any kind makeup so this lip color just might be the gateway to the new makeup-wearing Jessica! I freuently get told I look about 18-24 years old (I’m actually 27) and while I’m grateful for the compliments, I would like to look older at times. My hope is that this fancy new lip look I’ve got going will help me achieve a more mature looking face. 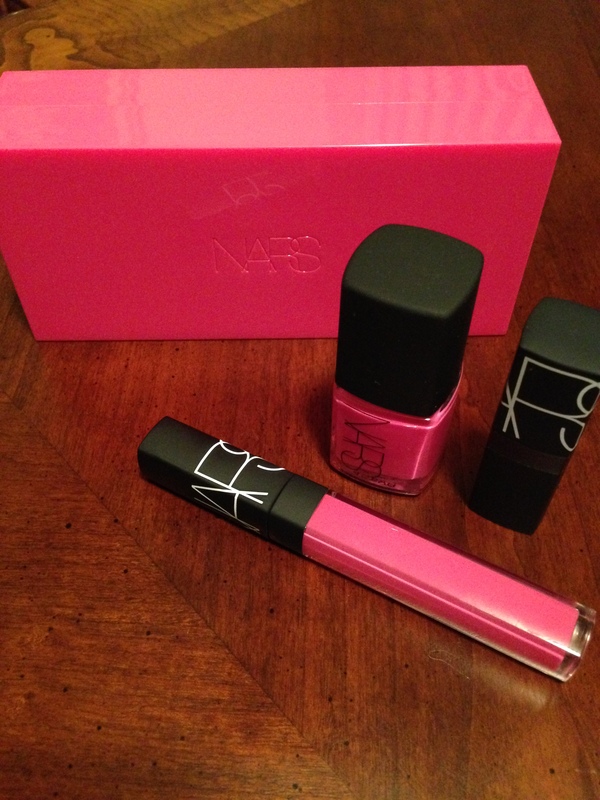 I also appreciate that the Nars lipstick came in a special beauty gift set including a lipstick, lip gloss and nail polish. Visit Nordstrom or narscosmetics.com for the Climax – Schiap Lip/Nail Set or something similar. 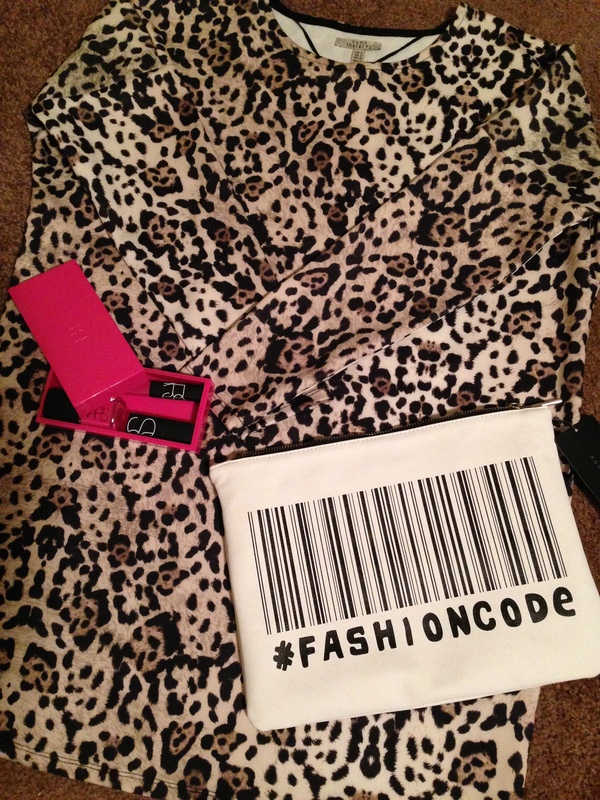 I’m excited to show you guys how I style my goodies from Chicago! Florals have set the tone of the season (even though it’s winding down – so sad! ), so why not play up the feminine, flirty pattern on your nails too? 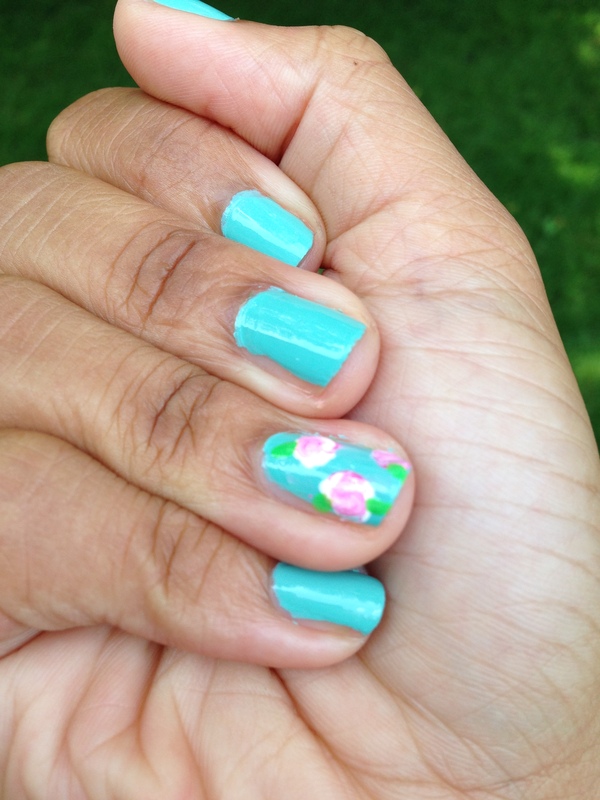 Here’s how to create easy, flower-filled nails! 1. Paint nails a base color. I used a mint color by Forever 21 but feel free to get creative with your color ways. 2. 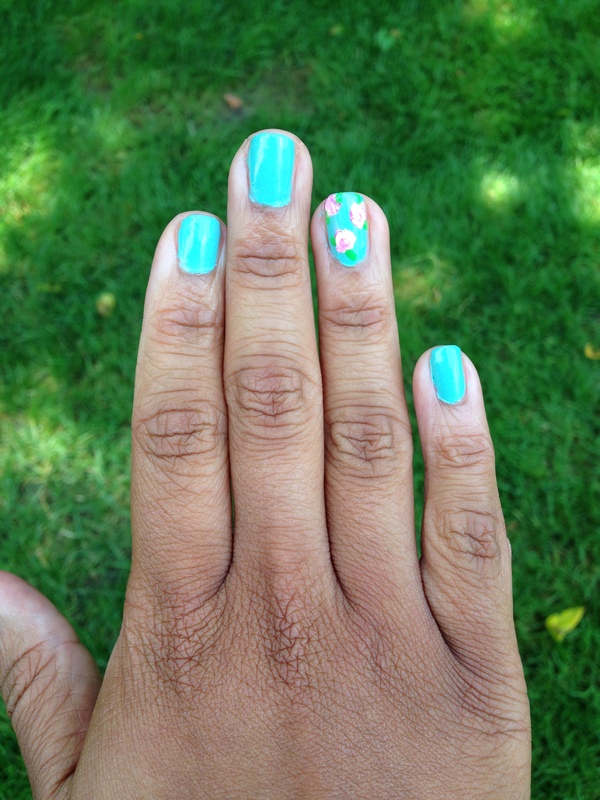 Once nails are dry, sporadically place three pink dots on the nails you wish to paint flowers. I used my ring finger, aka fashion nail, for a dramatic affect. The dots should just be small dabs of nail polish randomly placed on your finger nail. 3. 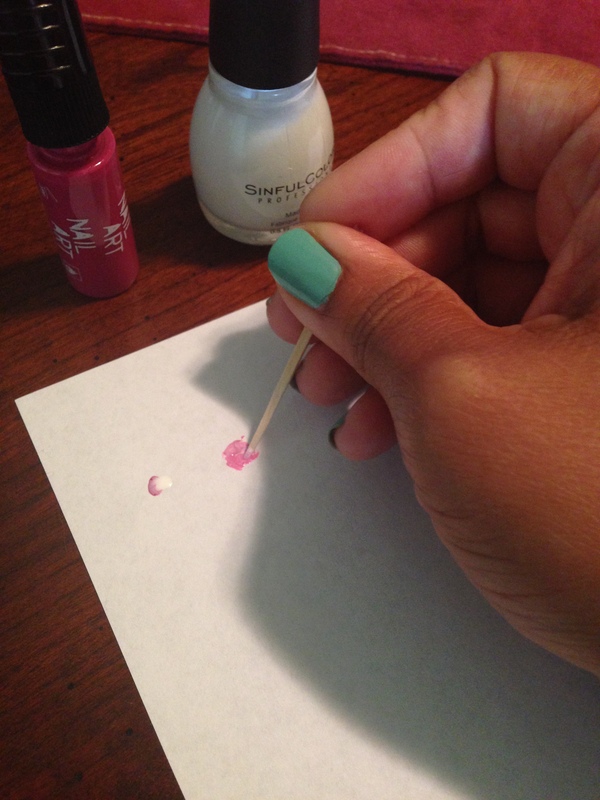 Let the first pink dots sit for about a minute then add another dab of nail polish on top of the current dot. I used white polish to simulate a rose. 4. Gently swirl the dots together with a toothpick. Continue to swirl until the two colored dots of polish form a flower-like pattern. 5. Use a green polish or a nail art pen to create leaves. 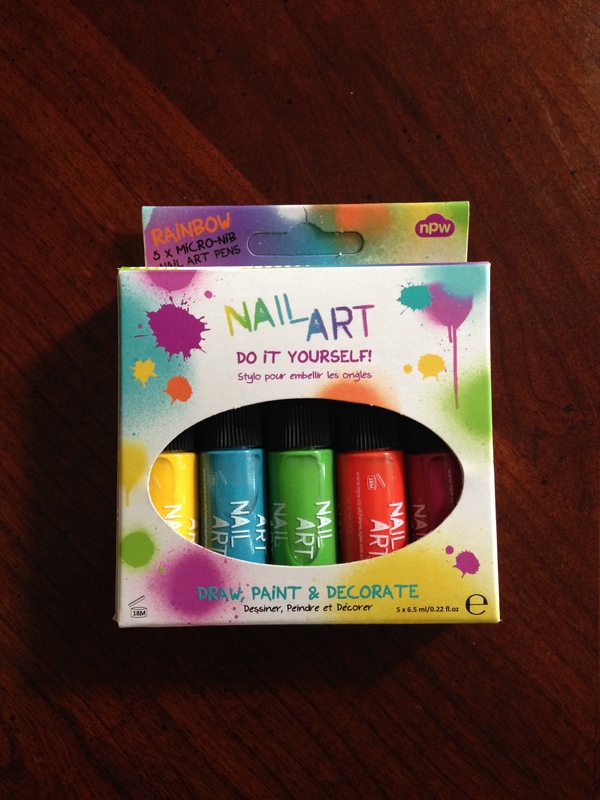 I used rainbow art nail pens from Paper Source in Birmingham for easy leaves. 6. Let nails dry and add a top coat. 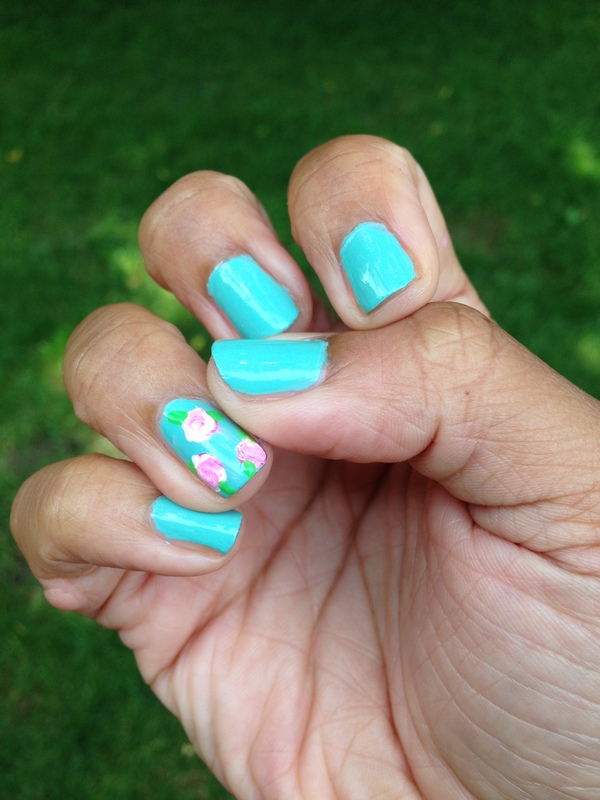 And there you have it, super fun and easy floral nails! Will you try creating floral nails?